Generally speaking, window treatments are a home design element that are both decorative and purposeful. Shutters, shades and blinds from Southern Shutters & Blinds in Georgetown, TX, can enhance or even change the ambiance of a room, while at the same time providing important privacy and light control. Specifically, blinds offer all of these benefits and have the added advantage of being quite affordable. But don’t make the mistake of thinking that affordable means “cheap looking.” To the contrary, the blinds Austin residents purchase from Southern Shutters & Blinds are made of top quality material, and even carry a lifetime warranty on the product and the installation. We offer a FREE In-Home Design Session. At this appointment, which is scheduled at your convenience, we will measure your windows and help you select blinds that fit your budget. And with a wide array of paint and stain finishes, we have blinds that are sure to be complementary to the décor of any room in your home. Our private line includes both two-inch and two-and-a-half-inch wood and faux wood blinds. 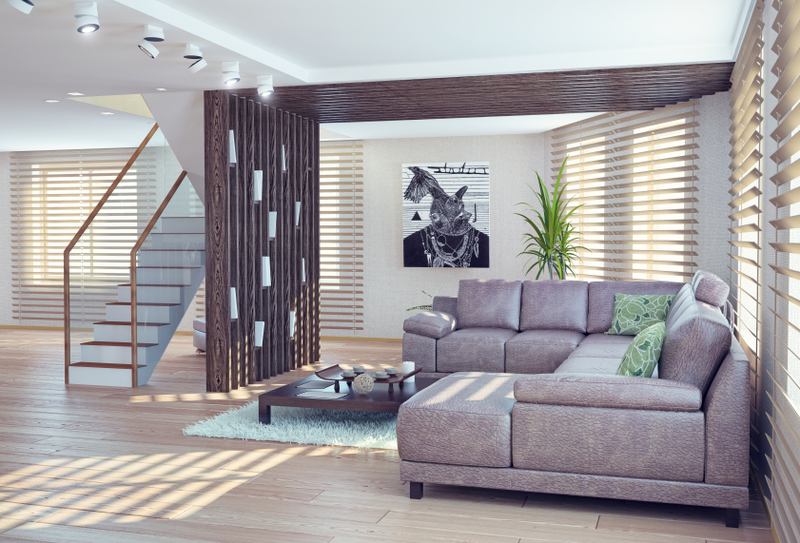 For your living room, you may want to consider wood blinds for a touch of elegance. Manufactured in a number of shades ranging from warm oak to rich mahogany, you’re sure to find the one that best suits the color scheme of your living space. On the other hand, in the kitchen, you may want blinds that brighten the space. Regardless of the color you choose, blinds always allow you to control the light level in a room with the simple twist of the wand. Likewise, you can really let in the sun by effortlessly raising the louvers. The materials we use for the cords and ladders of our blinds are guaranteed to stand up to the normal wear and tear of daily use. If you would like to schedule a FREE In-Home Design Session and learn more about what affordable blinds from Southern Shutters & Blinds can do for the interior and exterior appearance of your home, then call us. We’ll be happy to come out to your home and show you the wide selection of choices that we offer. Southern Shutters and Blinds proudly serves customers throughout Georgetown, TX, and Canyon Lake, Bee Cave, Burnet and Boerne and the surrounding communities.